Cormorants seem to be pretty wary birds, but I was able to get fairly close to this bird by keeping one of the benches between me and it as I approached. Once it figured out I was there, it swam off. I stayed at the pennisula for a while watching other birds before riding around the lake. 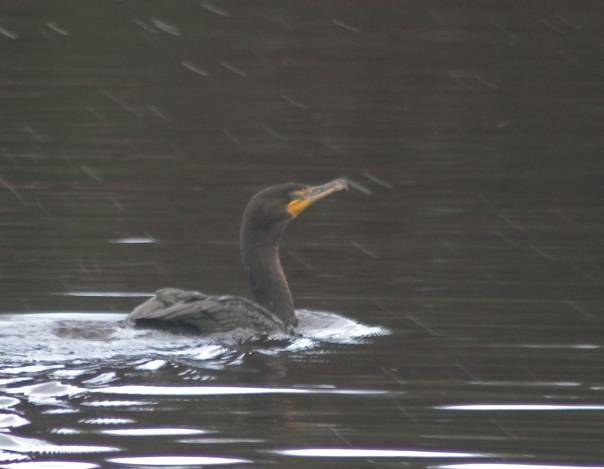 Once I was gone, the Cormorant went back to the same spot it had been. When I arrived back at the penninsula it swam off again.